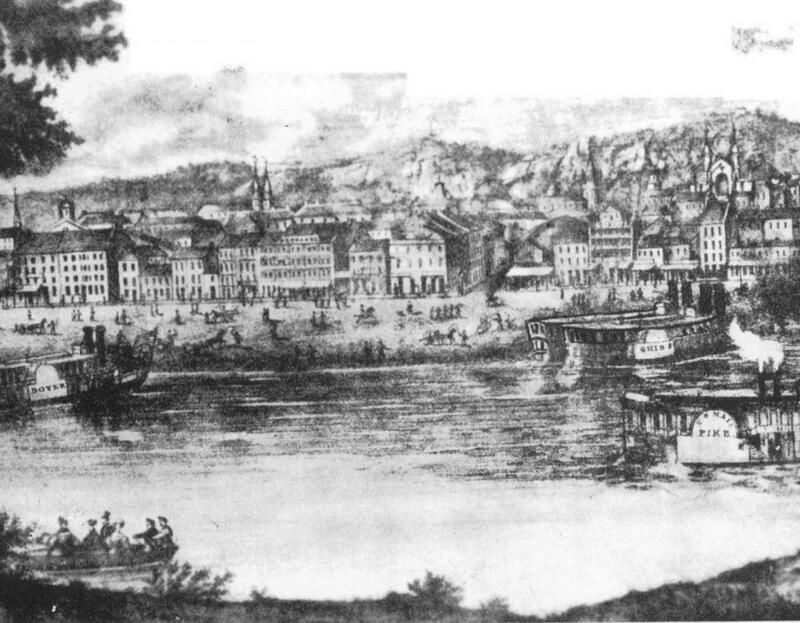 Racism and economic tensions fulminated in Cincinnati, Ohio in August of 1829, resulting in white violence against African Americans over a two-week period in August 17-22. White mobs estimated at times at 200 to 300 led by Irish immigrants invaded the riverfront area where African Americans lived with the avowed intent to drive them all out of the city. The mob burned shelters and homes and assaulted a number of individuals. African Americans fought back but the attacks persuaded many in the black population to evacuate Cincinnati. A number of them emigrated to Canada to a community they named Wilberforce. Those who stayed behind attempted to rebuild their lives but experienced further white assaults in 1836 and beyond. Causes for the violence were rooted in racial animus exacerbated by competition for jobs. Free blacks and increasing numbers of African Americans who had escaped slavery in the South arrived in Cincinnati with hopes of safety and economic opportunity. The African American population rose rapidly after the Missouri Compromise in 1820. A surge of migration from 1826 to 1829 swelled the numbers of African Americans about 10% of the city’s population. Many of the new arrivals were poor and illiterate, and had to construct flimsy shelters along the riverfronts. There they competed for wage labor jobs with poor whites and especially Irish immigrants. Cincinnati whites expressed alarm at the growth of the black population in the city, especially those deemed indigent. City leaders invoked the Black Act of 1807, a state law which had been installed to limit African American migration into Ohio. It required that new Black residents to provide a $500 bond guaranteeing their solvency and economic self-sufficiency. City leaders, encouraged by a recent Ohio State Supreme Court ruling that supported the use of so-called Black laws, revived this act and began enforcing it on new African American arrivals in the spring of 1829. Although white leaders did not expel African Americans, this measure was design to limit future migrants. Local African American leaders such as James Charles Brown were well aware of white efforts to control their population. There was already considerable emigration sentiment among African Americans for forming independent self-governing communities farther west or in Canada. In June of 1829 black community leaders sent two agents, Thomas Crissup and Israel Lewis, to Canada to buy land and secure permission for a settlement. They succeeded at both, establishing the Wilberforce settlement in Ontario. However, on June 30, the Cincinnati Daily Gazette printed a notice warning that the city would rigidly enforce the Black Act of 1807 within 30 days: all black residents must enter into bond by that time or face expulsion. The black population understood that warning as a threat of mob violence. James Charles Brown appealed for three additional months before enforcement was to begin, and placed notices in the Gazette informing the white population of the progress of the Wilberforce emigration. Nevertheless, from the night of August 15 through August 22, white mobs estimated at up to 300 people rioted in the Fourth Ward, where the majority of the city’s 2,250 African Americans lived. The mob destroyed businesses, burned residences and other structures, and assaulted black residents. Initially city police did not intervene but eventually both white rioters and black residents were arrested. In the end, more than half the African American population left Cincinnati. A majority ended up in surrounding towns. A number of family groups emigrated to Canada, with some settling in Wilberforce.